One of my little cousins (well not so little as he’s now 21 and has been towering over me since he was 13) celebrated his 21st birthday this New Years Eve. As my family love to celebrate special occasions by eating lovely food my Aunt and Uncle organised a pre birthday meal after Christmas at Bar and Grill in Harrogate. (Apologies for the late blogging, its so much easier eating the food, photographing it and then dozing off with a food baby than it is to motivate myself to write anything). Anyway to set the scene, my Aunt and Uncle had booked a private dining room in Bar and Grill and it was an absolutely lovely experience being very well looked after by restaurant staff who were very pleasant and helpful. I spent a happy afternoon sitting gossiping with my mum and chatting to J and the rest of my family while eating delicious food. Unfortunately it isn’t very sociable going round the table photographing everybody’s food asking “what have you got there, eh?” so I just took pictures of what J and I ate. 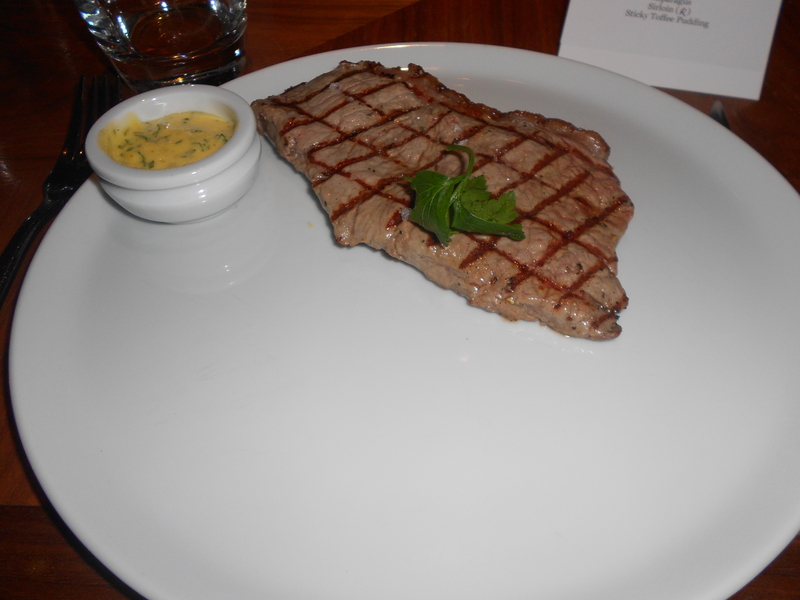 However, as a family of meat lovers, the majority of people had ordered steak anyway. How much does this poached egg look like a golf ball? 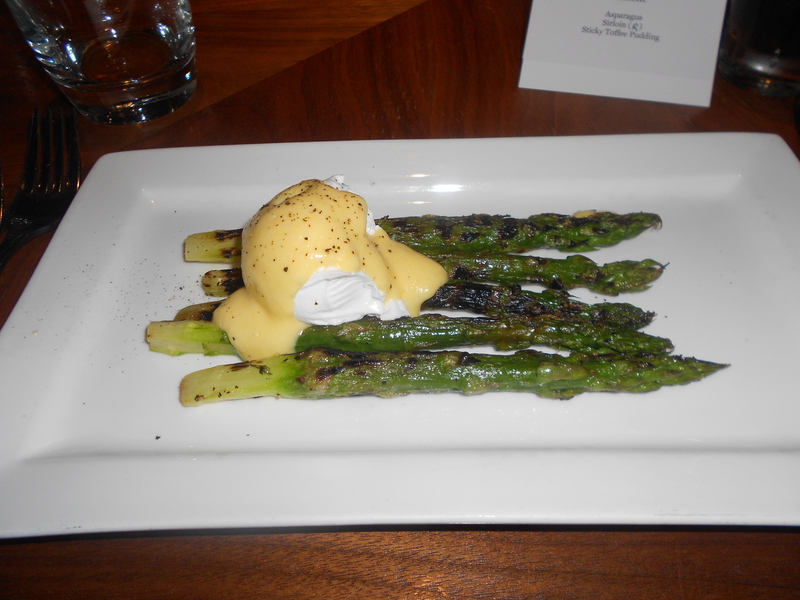 Now I think asparagus and poached egg is a wonderful combination and I thought the hollandaise sauce was perfectly cooked. 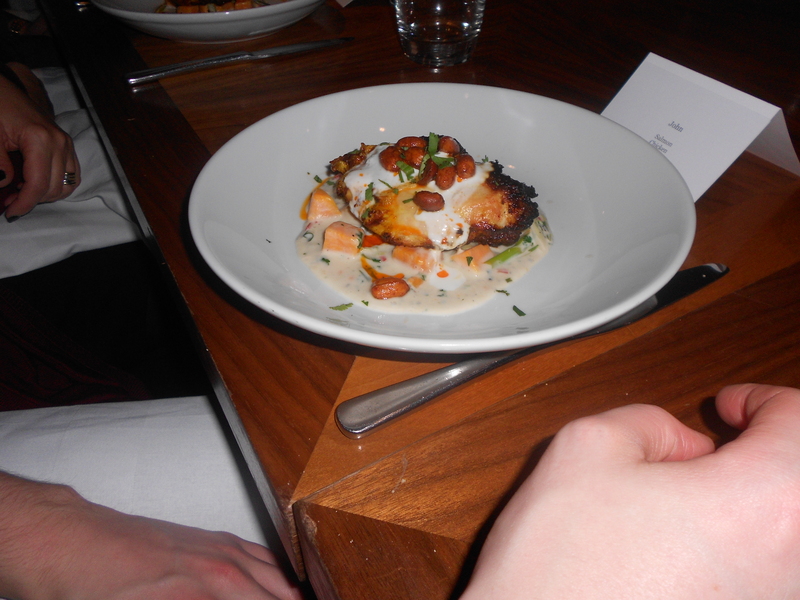 J had smoked salmon which came in a citrussy sauce. 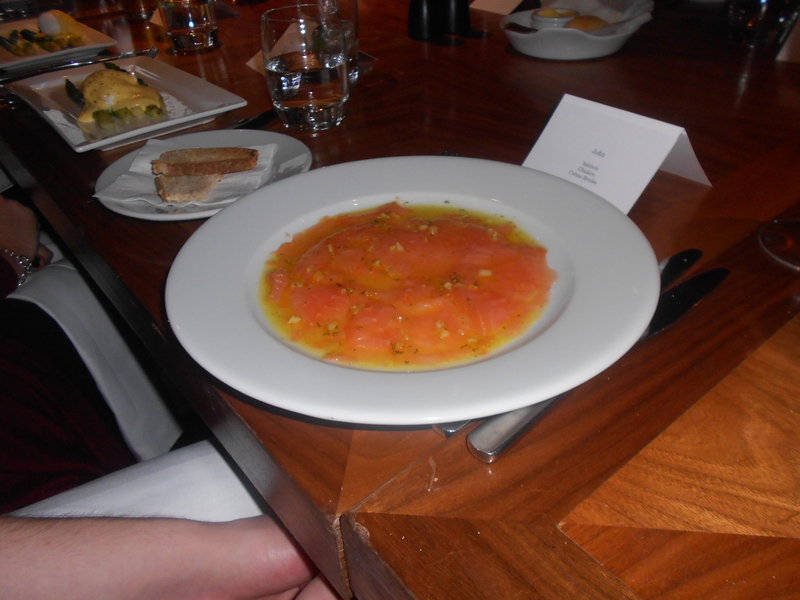 It was absolutely wonderful, a must for smoked salmon lovers. 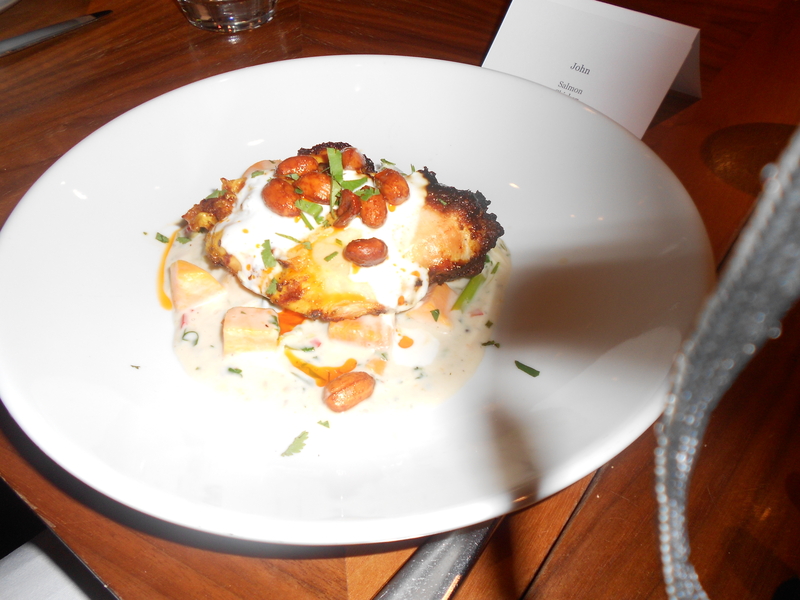 J had “Malayan chicken” which was Malaysian style chicken with sweet potatoes. He enjoyed it and what i tried of the dish was tasty. 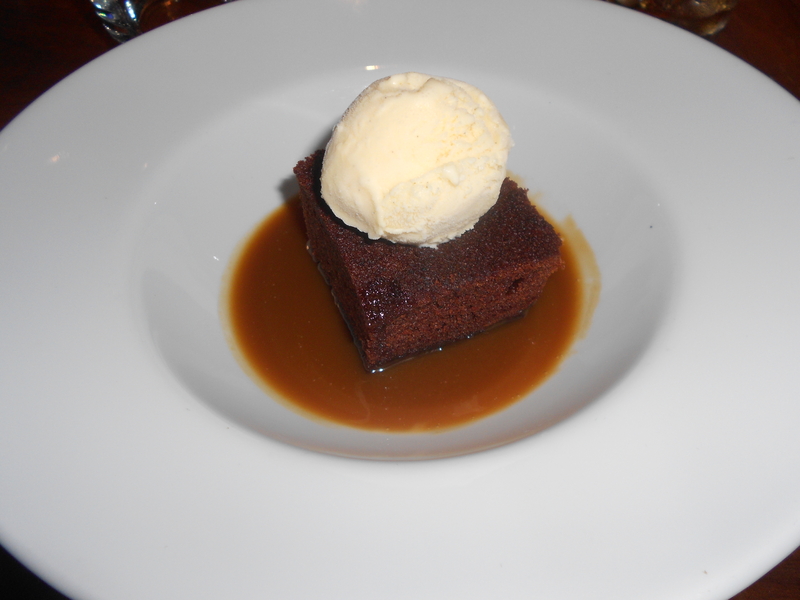 To finish, despite feeling pretty full I polished off a portion of sticky toffee pudding. The flavour of it was perfect, but as a personal preference I would have preferred a sponge with more dates in it – although I am aware that other people prefer different consistencies of the sponge. J opted for candied orange creme brulee. I have to admit I wasn’t looking forward to this but in my opinion it was tasty and the orangey flavour cut nicely through the custard. 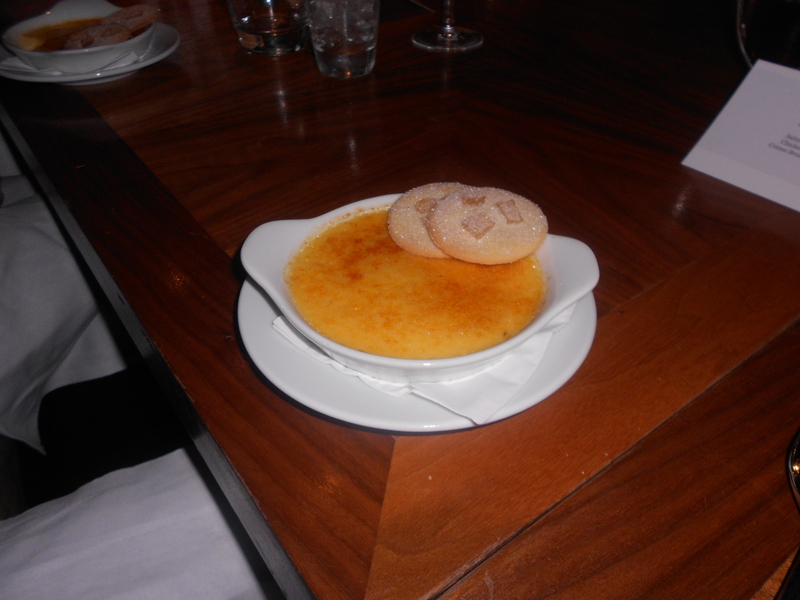 Creme brulee with shortbread – what more could a man want? I would definitely recommend going to the bar and grill. 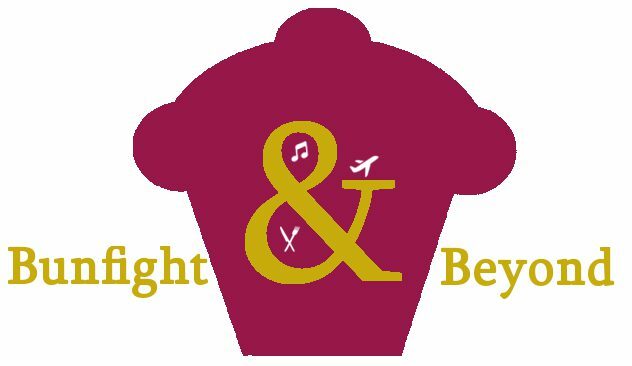 The food was tasty, the staff friendly and helpful and the location is great 9ie a 3 minute walk from my house). I would definitely return as I’d love to try food from their normal menu. 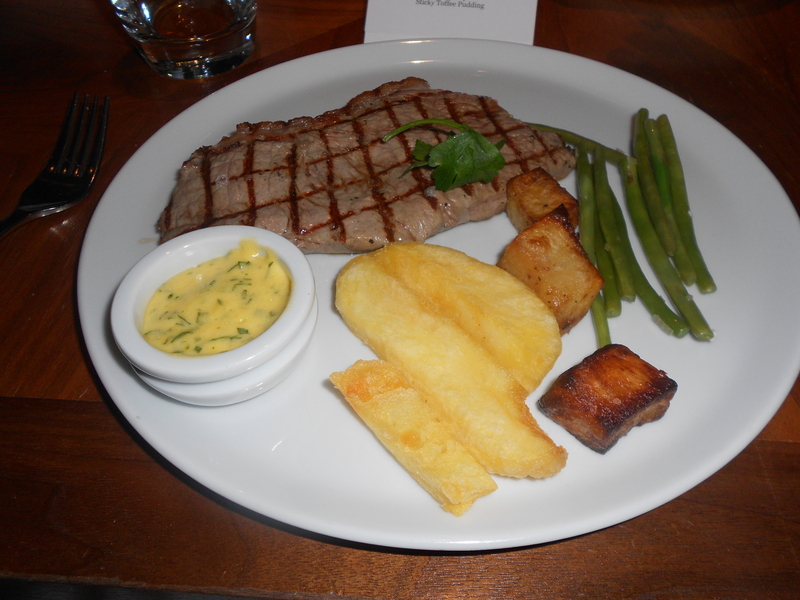 You can find out more about Bar and Grill Harrogate and other locations here. Next Next post: Another trip to So!